Acacia wood is loved for its long lasting durability, its warm, rich color and natural attractive grain. 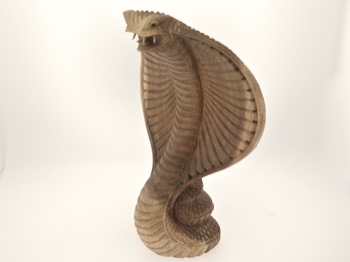 This cobra is carved with specific attention to a cobra's inherent details and a deep respect for the natural flowing colors of the piece of wood. 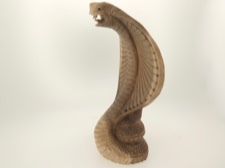 Carved in a village in Bali, Indonesia, that passes on its skills and talents for wood carving for generations. 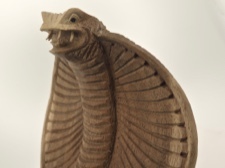 The fangs and detailed features of this intriguing snake species will charms its way into your life. 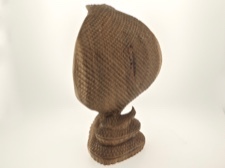 This fellow stands 6.5 inches tall, is 4.5 inches at its widest, and is about 2 inches thick.